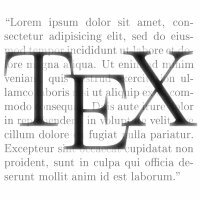 LaTEX is a document preparation system. I recommend using it to prepare any documents you expect people to read; its great strength over other systems is in typesetting mathematical equations. 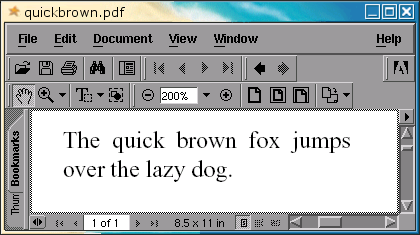 I learned LaTEX from Diller's LaTEX: Line by Line, first edition. Unfortunately, it is somewhat old and only covers LaTEX 2.09. I haven't seen the second edition, but I am told that it is current and covers LaTEX 2ε. In general, the best place to find anything LaTEX related is CTAN. The second place to look is TUG (the TeX Users Group). Don't forget to try google. If none of those places have what your looking for, I suggest you read the rest of this page. Here is a large PDF file that lists many of LaTEX's symbols. One of LaTEX's most useful environments that nobody knows about is tabbing. Here's a quick overview. A great package for making diagrams within LaTEX is xypic. It has something of a learning curve, but it's worth the effort. Here is a tutorial and here is the full reference manual. I've been looking pretty hard for (free) documentation of the TEX core, but I haven't had much luck yet. I tried Don Knuth's page and found nada. I found this page (mirror) which describes the TEX primitives. I still don't understand how the system comes together... if anyone has a good reference, please contact me. This selects the font to use. Multiple-line subscripts and superscripts (shamelessly stolen from http://www.nada.kth.se/~carsten/latex/amsldoc/node51.html). Include the amsmath package to use this! produces a two-line subscript underneath the sum. and let me know if you want any other features.